Pink Mountain Treks and Expeditions offer trekking in Nepal, trek to Nepal, Tsum Manaslu Trek for those who are willing to make a trek to the Manaslu region through Tsum Valley, also known as the Hidden Valley, a land of monasteries with totally Tibetan origion population, lies on the northern part of Manaslu on the Nepal-Tibet border and used to be a restricted area until 2008. Although the Tsum Valley Manaslu region lies within Nepal, the Buddhism influenced region is a world of its own. Traditionally, Tsum used to be a separate area different from both Nepal and Tibet. Day 27:Fly Out to your destination. Travellers and Trekkers safety is of paramount concern while traveling with Pink Mountain Treks and Expedition. Please note that your Trekking Team leader has the authority to amend or cancel any part of the itinerary if Tsum Valley Manaslu Trek, is deemed necessary due to safety concerns. 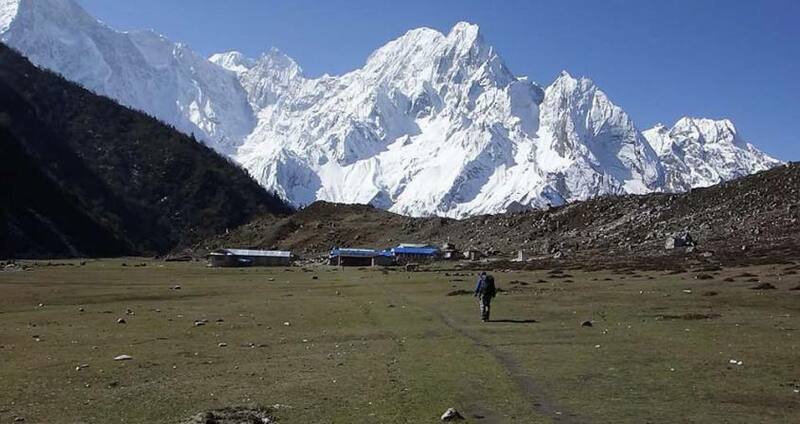 Every effort will be made to keep to the above Tsum Valley Manaslu Trekking itinerary.However, since this adventure entails travelling in remote mountainous regions, you cannot guarantee that you will not deviate from it. Weather conditions, health condition of a group member, unexpected natural disasters, etc., can all contribute to changes in the itinerary. The Trekking leader will try to ensure that the trip runs according to plan, but please be prepared to be flexible if required. Day 1Arrive Kathmandu & Transfer to Hotel - 1,300m/4,264 ft Arrival in the Kathmandu airport (TIA)snd meet with representative of Pink Mountain Treks and Expedition (PMTE). Then transferred to hotel. After checking in, you will visit Pink Mountain Treks and Expedition's office to meet with trekking leader as well as other participants and make final preparations for the trip. Day 2Kathmandu: Sightseeing and Trek Preparation After breakfast proceed to guided tour with Pink Mountain Treks and Expedition to the heritage sites of Kathmandu. Some of these landmarks are considered as World Heritage Sites; including the historic Durbar Square, the sacred Hindu temple of Pashupatinath, the famous 'Monkey Temple' (Swayambhunath) and Buddhists shrine (Bouddhanath) which is one of the large Stupas in the world. In the afternoon, there will be a pre-trip discussion where you can meet our trek leader and other team members. Pink Mountain Treks and Expedition briefs you regarding our trek as well as provides you opportunity to ask any questions you may have regarding our upcoming adventure. Day 3Drive to Barpak (2000m/6560ft) After breakfast 6 hours drive from Kathmandu to Barpak village which is situated upon the hilltop. Barpak is also home of Ghale people who were rulled the midren hill of Nepal in Mediavel time.Barpak is also the home of Gaje Ghale, the 2nd World War veteran who also received Victoria Cross from the Queen of Britain. Day 4Barpark to Laprak (2200m/7216ft): 6-7 hrs Today you will trek through the mountains in an easterly direction into the main valley of the Budhi Gandaki River. A few hours of climb takes you to the pass of Gupsi Dada (3000m). The Gupsi Dada pass Laprak from Barpak, Enjoy the panoramic views of Buddha, Shringi, Ganesh Himal and the Langtang range. After the earthquake villagers from Laprak are sifted to Gupsi Pakha. Day 5Laprak to Khorlabeshi (875m/2870ft): 7-8 hrs After breakfast today your trek goes Laprak and cross a suspension bridge. Then a steep climb around hillside. Pass the village of Singla while enjoying the magnifiscent views of the Manaslu Himal, and other Himalayas. Descend down to Kholrabeshi. Day 6Khorlabeshi to Jagat (1410m/ 4625 ft): 6 hrs After a few more ups & downs, you reach to Tatopani. From the Hot spring you climb over another ridge, then cross the Budhi Gandaki on a suspension bridge. Climb on over a ridge to Dobhan. Crossing a suspension bridge over the Dobhan Khola, the trail climbs on a rugged trail to Duman. Crossing a suspension bridge over the Yaru Khola you climb the stone stairs and then drop to the river and again climb more stone stairs to Thado Bharyang. Trek along the Budhi Gandaki river then climb towards the village of Jagat. Day 7Jagat to Philim (1,590m/ 5215 ft): 3hrs Today you will Climb over a rocky ridge to Salleri, and then descend to Setibas. The valley widens a bit as the trail continues up to Ghatta Khola. Continue upstream to a long suspension bridge. Climb up to Philim, a large Gurung village. Day 9Chumling to Chokhangparo (3010m/9903ft): 5/6 hours Cross the suspension bridge onto the opposite bank. Enjoy the great views of Ganesh Himal. Walk past Rainjham to Serpu Khola. Now you enter the hidden valley of Tsum. Another steep climb takes you to the village of Chhokangparo. 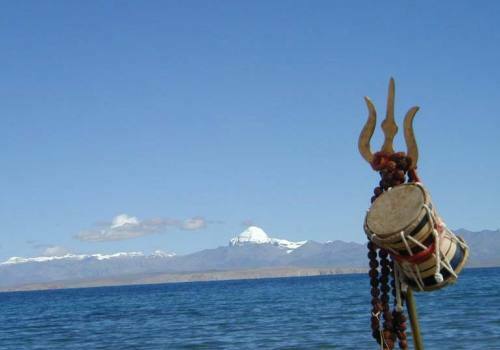 Weather permitting, enjoy the views of Himalchuli at 7893 meters. Day 10Chokhangparo to Nile (3361m/11058ft), via Milarepa cave: 6/7 hours While climbing above Chokhangparo, better to be careful of altitude problems. Walk past Lamagaon to the Rachen Gompa. Climb up to the Milarepa’s Cave. Then you cross the Shiar Khola. Continue walking through the villages of Phurbe and Pangdun. After crossing the village of Chhule, climb upstream and cross the bridge to finally arrive at Nile. Day 11Nile to Bhajyo (Chhekya) (4030m/13218ft): 4 hours You are now almost close to the Tibetan border. Walk to the west bank of the valley through the Tibetan landscapes. Climb up to the Mu Gompa. From Mu Gompa, climb further up to Bhajyo and you are quite close to Tibet and get a good view of the Tibetan peaks as well as the Ganesh Himal range. Bhajyo is a remote area there is not any local houses. Only you can see some yak farm house. After having the lunch you will explore the area. Day 12Rest at Bhajyo (Cheekya) you take rest at Bhajyo both for acclimatization and sightseeing. Discover the highland around Bhajyo. If the weather is clear, you can also enjoy the magnificent views of Ngula Dhojyang pass as well the glaciers of the Yamdro Valley. Day 13Bhajyo to Rachen Gompa: (3240m/10627ft): 6 hrs From Bhajyo, you descend down to Rachen Gumba. Established in 1905 AD, the Rachen Gumba is a nunnery in the Shiar Khola Valley. The nunnery is one of largest in the region is of great importance. The interior of the Gumba is splendidly painted with Buddhist mural paintings. Day 14Rachen Gompa to Chumje (3230m/10,595ft): 5/6hrs Continue south until a bridge crosses to the west bank then descend again to Chhokangparo. Drop below Chhokangparo on the previous trail for about 2hrs, until a small gompa is reached at Gho (2485m). Then taking the northern route in the lower Tsum Valley, you finally arrive at Chumje via Yaju. Day 15Chumje for Bihi (3130m/10,266ft): 4/5hrs From Chumje, you continue on the northern route in the lower Tsum Valley. Pass the village of Dorjon Kharka just before reaching Rana. Crosss the large suspension bridge in the main valley of the Manaslu Budhi Gandaki River. If interested, walk further up to the village of Bihi. Day 16Bihi to Namrung (2540m/8331ft): 6 hrs The initial part of today's trek is on a relatively flat terrain. Soon, the trail moves uphill through the forest path. Thus you arrive at Namrung while enjoying at the same time the magnifiscent views of Manaslu, among others. Day 17Trek from Namrung to Lho (3180m/10,430 ft): 4 hrs From Namrung, you again enter the Buddhism influenced region. Climb through the forest to Lihi. Enjoy the spectacular rise of the Ganesh Himal. Descend to Sho. Another steep climb takes you to our today's campsite on a ridge. Day 18Trek from Lho to Samagaon (3530m/11,578 ft): 5/6 hrs The Budi Gandaki is far down but you follow a small tributary instead. Walking in the shady fir forest is very enjoyable. A short climb to a plateau and the village Shyala. Huge mountains surround you, Himal Chuli and Peak 29 (Ngadi Chuli) to the left, Manaslu and large glaciers straight ahead, other snow summits to the right, at the far end of the valley you have just come from stands Ganesh Himal. At the far end of the village, overlooking the valley stands the well-known monastery of Sama. Sama Gaon is a village inhabited mainly by the Tibetans and lies at the foot of Manaslu. Day 19Trek from Sama to Samdo (3860m/12,660 ft): 4/5 hrs Descend to the Budi Gandaki, that has turned north, and follow it to a bridge over a side stream. The trail to the left leads to the Manaslu Base camp. The Larkya la Trail passes several mani walls as the valley begins to widen. It is an easy trail on a shelf above the river passing the juniper and birch forests of Kermo Kharka. you drop off the shelf, cross the Budhi Gandaki on a wooden bridge and climb steeply onto a promontory between two forks of the river. From a stone arch you can see a large white kani, finally passing through the kani you find Samdo. Day 20Samdo - High Camp (Ekle Bhatti) (4460m/14,628fy): 5hrs You will continue your walk down the edge with guide of Pink Mountain Treks and Expedition, cross the wooden bridge over Budi Gandaki and begin walking upward. Cross two streams and witness the Larkya Glacier. Go around the valley of the Salka Khola and climb up again and come to the stone guest house (4450 m) which is not a lodge but a kind of shelter called Dharmshala, also known as Larkya Phedi. you camp here today and have a rest to prepare for tomorrow's crossing of the famous and most awaited Larkya Pass. After a short climb, you reach the ablation valley on the North side of the Larkya Glaciers. Day 21High Camp – Bimthang (3,590m/11811ft), 7/ 8 hours walking After an early start, you soon walk across the moraines of the glacier, making a gradual ascent which becomes steeper only in the last section to the pass. From the pass, there are outstanding views of Himlung Himal, Cheo Himal, Kangguru and the huge Annapurna II. Savor the spectacular views from the top of the pass. It is a longer day then usual to Bimtang, but to walk into these low pastures with the evening mist coming in and Manaslu; it's an experience not to be missed. Day 22Rest day at Bimthang you have been trekking incessantly for more than 2 youeks. Still one more week to trek in the mountains. Therefore, a rest day would prove a blessing for the tired muscles. Also discover the area surrounding Bimthang as well the cultural life of the mountain people. Day 23Trek Bimthang to Dharapani(1860m/6,100ft): 6-7 hrs you will descend a great height today. Initially, from the valley of Burdin Khola, through rhododendron forests, to Karche, the highest cultivating place in the valley. Then you descend to the village of Gho. While staying on the north bank of the river, you trek into Tilje. Leave the Tilje Village, and cross the Dudh Khola. Cross a wooden bridge back to the northern side of the Dudh Khola. Continue to Dharapani. Day 24Dharapani - Ghermu (1100m/3608ft): 7 hrs The remainder of our trek follows trails used on the first few days of the Annapurna Circuit Trek. you descend to the Marsyandi River and cross the suspension bridge. Climb up and away from the river and hike through a broad, flat valley to the village of Tal (1,675m), situated at the foot of a large waterfall. The trail continues on to Chyamje. From Chyamje, trekking up and down along the river, you reach Jagat. A steep trail descends from Jagat through the Marshyangdi valley. Cross Marshyangdi River at Syange and walk to Ghermu. Day 25Ghermu - Besisahar (800m/2625 ft): 4 hrs The Marsyandi valley opens and on its banks terrace fields and villages clung very high to the hillsides are the age-old work of the Nepalese farmers. you cross several interesting villages such as Bhulbhule, Khudi, etc. Then you walk on a flat part alongside the left bank of the Marsyandi. A last walk up for reaching Besi Sahar, a dusty and busy place which marks the end of our trek and the beginning of the civilization. Day 26Drive Besi Sahar to Kathmandu by bus: 7/8 hrs A 7 to 8 hours' of picturesque drive on the way back to Kathmandu along the banks of the Marsyangdi and Trishuli rivers with splendid views of green hills, mountains, farming terraces and villages on both sides of road. In Kathmandu, transfer to your hotel and spend the rest of the day resting or catching up on some last minute shopping. To celebrate the successful completion of our journey, you will have a farewell dinner by Pink Mountain Treks and Expedition. Day 27Fly Out to your destination. Your adventure in Nepal and Tsum valley and Manasalu Trek comes to an end today.If you have more time you can do some shopping or sightseeing. A representative from Pink Mountain Treks and Expedition will take you to the airport approximately 3 hours before the scheduled flight.